Corinne and Tim are just here for the gasoline... and to talk about Mad Max 2 a.k.a. The Road Warrior. 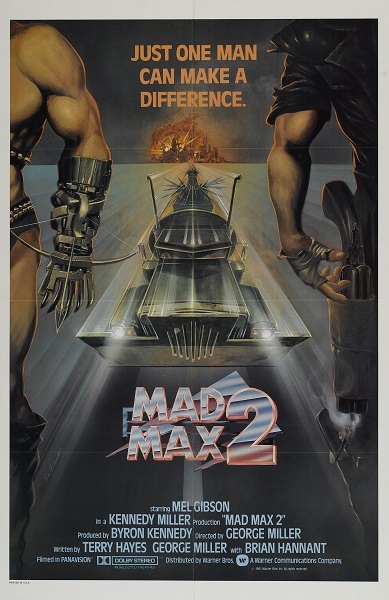 Join us on a road trip about thirty years back along the fury road as we discuss the film's influence on post-apocalyptic cinema, George Miller's unique form of action film-making, and wasteland fashion. Warning: Contains explicit language, spoilers, and practical stunt-work. Care to discuss the utility of hockey pads in combat situations? Hoping to trade some conversation for a tank of juice? Do you think Humungus is a reasonable man, open to negotiation? Leave a comment below and keep the discussion going.